After studying political science, Julia Laurenceau did a Master's Degree in documentary film at the University of Strasbourg in 2005-2006. 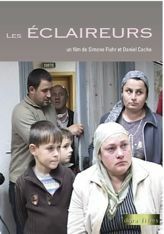 Julia has created the association Anyway Films with Aleksandra Szrajber and Didier Asson in order to produce institutional films, provide educational training in secondary schools and professional workshops. 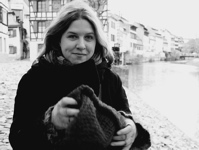 She worked for two years for Télé Alsace (where she made short films on contemporary art exhibitions and portraits); she also worked as a reader for Unlimited and Les Films Hatari production companies. She is a member of the SAFIRE (Society of writer-directors of independent films in Eastern France) and writed articles regularly for the "Filmer en Alsace" letter. 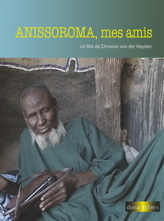 documentary, colours, DVCAM 63', 2008. coproduction dora films - Label vidéo - Images Plus - TVM est parisien. Dreams, anxiety, anger ... In Vote for Dreams Camille, Julien and Julia the director meet together. Their first meeting was during the student's strike against French governement in 2006. Nowadays they are wondering about how to be inserted in the French society and how they can change it. Fiction, black and white, Super 8, 3', 2006 (film shown in the Tourné-Monté Festival in Strasbourg in 2006).